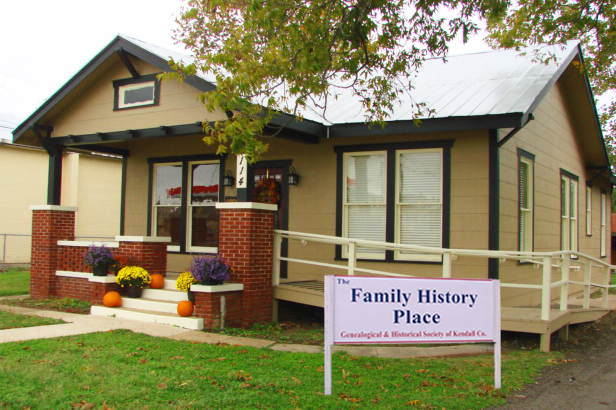 This walking tour, first of its kind, is a joint project with three local partners - Genealogical Society Kendall County (GSKC), Patrick Heath Public Library and City of Boerne Parks and Recreation. The purpose of this tour is to honor those who made Boerne what it is today and to increase the public's awareness of the town's past and its rich heritage. The tour begins at 10:00 am on Saturday, May 18th at the cemetery's east entrance on School Street and is expected to end by 11:30 am. Guides will lead small groups throughout the tour. Wear comfortable shoes! If needed, the Rain Date is May 25, 2019. This tour is free! The number of attendees is limited though. Registration is required. Call GSKC at (830) 331-8730 to register. Each year The Genealogical Society of Kendall County takes a group of researchers to Salt Lake City to spend a week at the Family History Library. 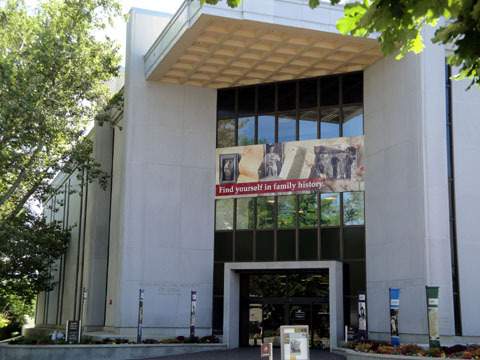 Many records have been digitized and put on-line on FamilySearch, however, there are still many records only available at the library in Salt Lake. 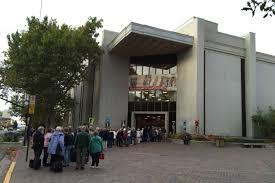 Plus you have access to one of the largest genealogical book collections in the world. This has become a regular trip for some members. We hope that you will join us in 201 when we will again travel to Salt Lake City from Sunday, May 5 through Sunday, May 12. We stay at the Salt Lake Plaza Hotel which is located next door to the Library. In addition to spending many enjoyable hours doing research, we usually have a little time for socializing during the day or evening. You do not need to be a member of the society to join our research trip. For more information, click here. If you are visiting from out of town, other hours can be arranged by appointment. The research facility is open to the public and free. 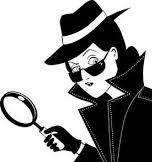 Volunteers are available to assist you with your research questions and problems. We are always in need of volunteers. In addition to our Research Center, we have other opportunities. Click on the SignUp button to see all of the opportunities. "The only truly dead are those who have been forgotten"
Annual reserach trip to the Family History Library in Salt Lake City. Join us for a week of research and fellowship. This trip is open to all members and non-members. Details will be annouced at a later date. "Lineage and Lemonade" makes great genealogy partners!